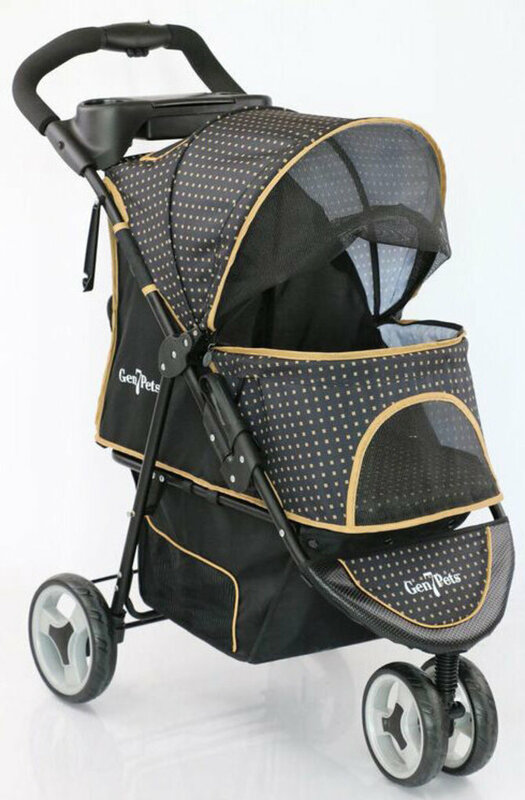 Gold Nugget Promenade Pet Stroller combines product innovation and fashion with Smart Features. the Smart Canopy mesh opens up out of the way giving the pet more space, unlike other strollers that open down into the compartment area. The Smart Zippers are pre-zipped and never need to be threaded making it easier to open and close from either side. The Smart Basket is enclosed with a rear zipper to provide easy access and safely secure belongings. The Smart Reach offers more kick space when pushing the stroller. The Smart Fold mechanism conveniently allows folding of the stroller from the handle. The Promenade Pet Stroller holds pets up to 50 lbs. No tools are required for assembly.